With four bedrooms and two bathrooms this stylish, modern property can sleep up to 8 people in comfort. You’ll stay warm in winter and keep cool in summer. 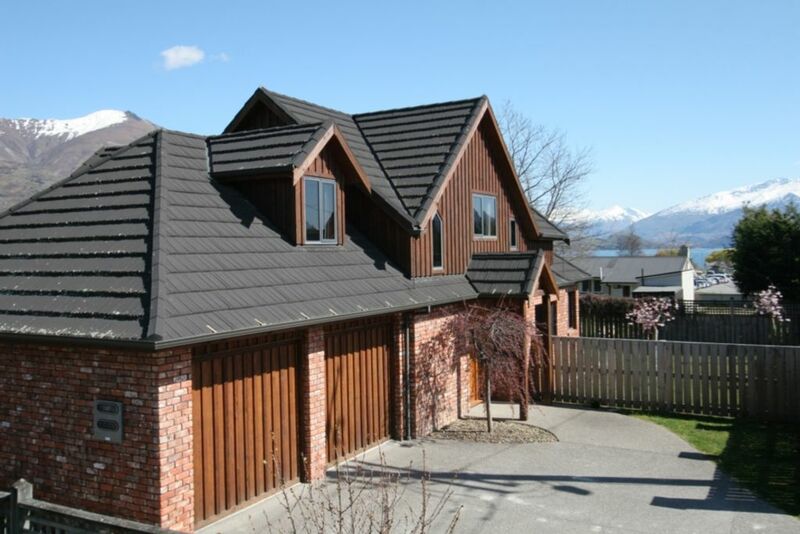 Just 200m to the skatepark, the cinema, the shops, the cafes and bars, 400m to the stunning Lake Wanaka waterfront and a 2 minute drive to the golf course, you’ll never be short of things to do. Or why not just stay put and enjoy the fabulous indoor/outdoor living 37 Dungarvon Street has to offer? Spend summer days playing backyard cricket and cooking up a storm on the barbecue. Snuggle up in winter and enjoy a family game of monopoly or why not sneak off and rest those ski-weary legs in a relaxing bath. The section is fully fenced so littlies stay safe. Meanwhile, there's also plenty of off road parking, including a garage, for cars, boats and other big kids' toys. The house also comes equipped with a storage room, perfect for drying ski boots or stashing wetsuits at the end of your day. The well equipped kitchen is an entertainer’s dream with everything from smoothie makers to slow cookers. There’s plenty of room at the indoor and outdoor dining tables for the whole team to sit down and share a meal while you swap stories of your day’s adventures. This property is newly furnished so when it’s time to settle down for the night you’ll rest easy in a comfy bed. If you’re the lucky occupant of the master bedroom you’ll awake to a breath taking view from the top floor. Why not start your day with a coffee on your private balcony. Check out our Facebook page 'Wanakaholiday' for more ideas for your stay. Off street parking for up to five cars or a boat or two! Great house, awesome location and Ron was lovely to deal with! Perfect for large families - well equipped and lovely home. The property was in a perfect location, we could walk to cafes, restaurants, the lake etc. The supermarket was just down the road. The house was well set up, everything you needed was available to use. Was ideal for 3 couples and a toddler, fully fenced back yard as well made it safe for the little one. We were all very happy with the house and would fully recommend. The house is beautiful and has everything you need for a comfortable stay. Location is fantastic. Only a few minutes walk to town and even has mountain and some lake views. Couldn't ask for more! Thanks Kim, appreciate the feedback! The house was perfect! We had a large group and the house catered well to this. The house was perfect! We had a large group and the house catered well to this. The location is great, a short walk to the shops and supermarket as well as lakefront. The house is warm and inviting and we can’t wait to book again! Perfect for ski trips. Thanks Trish, that is so kind. Glad you enjoyed your stay in Wanaka.